Ukraine’s Minister of Infrastructure, Volodymyr Omelyan, announced that country’s railway sector is ready for the liberalisation process, beginning with stations’ concessions. To implement such process, the World Bank experts are working on a strategy for reforming of Ukrzaliznytsia, focusing on the improvement of operational efficiency, quality of services, minimizing the risks of market liberalisation. “We already have good progress and experience on the regional railway in Lviv and want to extend this experience overall Ukraine,” Omelyan said, during a meeting with representatives of the World Bank. According to minister’s remarks, there is a significant interest from potential investors to the pilot projects on the concession of railway stations. 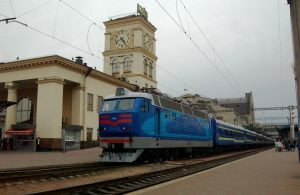 At initial stage, the process concerns the railway station in Kyiv, Lviv and Mykolaiv, where the municipal authorities and business are ready for the concession. “Our goal is turn stations into comfortable hubs with public space and all the necessary amenities. The development of railway stations in terms of public-private partnership is what the Ministry’s team is already working on in cooperation with foreign experts and the Reform Support Team,” the minister explained. Volodymyr Omelyan also asked the World Bank to analyze the procurement procedure of Ukrzaliznytsia to ensure their transparency and competition.